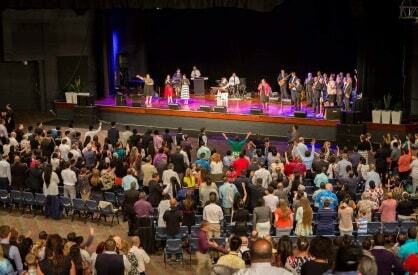 ​ Welcome, and thank you for visiting the official site of the United Pentecostal Church of Australia (UPCA). Many folk are expressing a great desire to know God and experience His power in their lives. Gone are the days when people generally think that by being religious guarantees their eternity. These days many folk have a real desire for truth and a real personal relationship with God. United Pentecostal churches are very careful to preach the Bible. You will find the basis of our teaching is the foundation laid by Jesus’ and his apostles. We strive to become the kind of church described in the Bible. United Pentecostal churches plainly teach the Bible way of salvation requiring true repentance, baptism in Jesus’ name, and receiving the gift of the Holy Spirit. We also focus on relevant teaching for life, heart-felt worship, authentic friendships, and compassionate care for those in any need. Please enjoy this site as you read its contents. Our doors are always open to visitors. We will warmly welcome you to any of our meetings. A list of churches can be found by clicking the CHURCHES tab. The 2019 Ministers' Retreat will be held from Saturday the 8th of June until Monday the 10th of June 2019 at the Warwick Farm Holiday Inn.